You’ve already seen an unboxing of the Droid Pro, so how about we show you some benchmarks? As a device with a smaller screen and resolution than most of the major Android devices, but with a big time 1GHz OMAP processor seen on only a few, you should expect these to be impressive. Well guess what, they are. Running Android 2.2, the DP crushes all of the other devices listed in Quadrant, hits MFLOPS with the best of the Droid brand in Linpack, and pumps out a ridiculous FPS rate in Neocore. Who else picked up a Droid Pro? Been enjoying the performance boost on the smaller screen? Andy Rubin Set to Speak at D: Dive Into Mobile in 2 Weeks, Gingerbread Announcement? 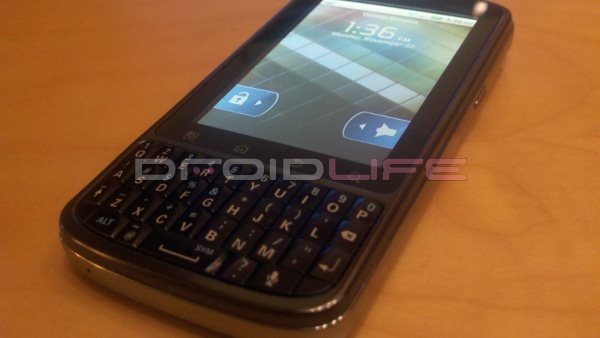 Motorola Preparing New Software Release for Original DROID, Is it Gingerbread?